Melbourne: Accolades continue to pour in for India’s dynamic Test captain Virat Kohli, on Tuesday was named skipper of Cricket Australia’s ODI team of the year which also featured young yorker specialist Jasprit Bumrah. 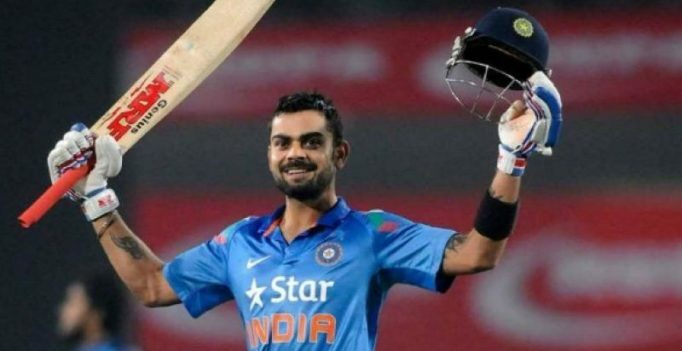 Kohli, who was earlier also picked captain of the ICC’s ODI team of the year, was preferred over Australia’s very own Steve Smith. Smith was, however, picked in the ‘All-Star’ team. “India’s skipper played only 10 ODI matches in 2016, but he again underlined his status as one of the best in the 50-over format,” CA said in a statement. “The right-hander scored 45 or more in eight of his 10 innings for the year, notching back-to-back centuries in a run feast against Australia in January and then a magnificent 154 (not out) in a successful pursuit of 289 against New Zealand, more than half of his team’s total. “He now averages an incredible 90.10 in 59 successful run chases for India, and has been out in the middle for the winning runs on 20 occasions,” it added. CA said Bumrah made the cut riding on his consistency. “India’s unorthodox paceman Jasprit Bumrah was a stand-out in 2016, his first year as an international player. “While nine of his 17 wickets for the year came against Zimbabwe, it was his ability to keep scoring to a minimum that impressed us the most; he conceded more than 40 runs in an innings just once all year and his extraordinary economy rate of 3.63 is easily the best in the world for 2016,” the CA stated. Cricket Australia’s ODI Team of Year: Virat Kohli (India, captain), David Warner (Australia), Quinton de Kock (wk) (South Africa), Steve Smith (Australia), Babar Azam (Pakistan), Mitchell Marsh (Australia), Jos Buttler (England), Jasprit Bumrah (India), Imran Tahir (South Africa).